It’s about half way through summer and I’m already starting to crave autumn-ish foods. I don’t know if that’s because I’m getting tired of summer foods or because I love the foods typically eaten in the autumn. I thought I’d whip up something to combine the best of both seasons. 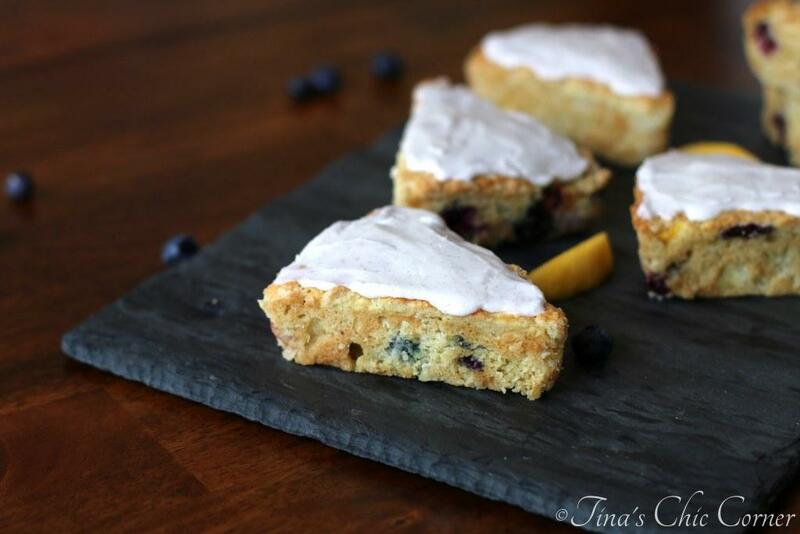 These scones are loaded with peaches and blueberries and covered with a spice frosting. 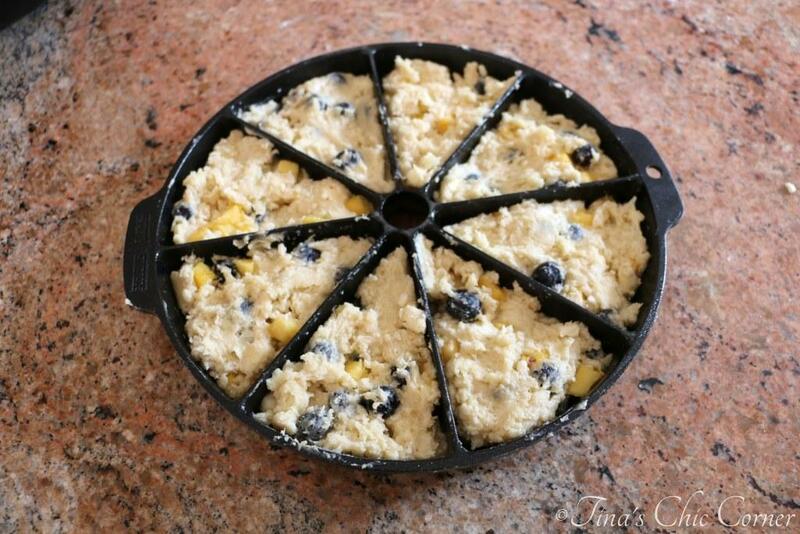 Grease an 8 scone pan and set it aside. In a small bowl, mix together the sour cream and baking soda. Set it aside. 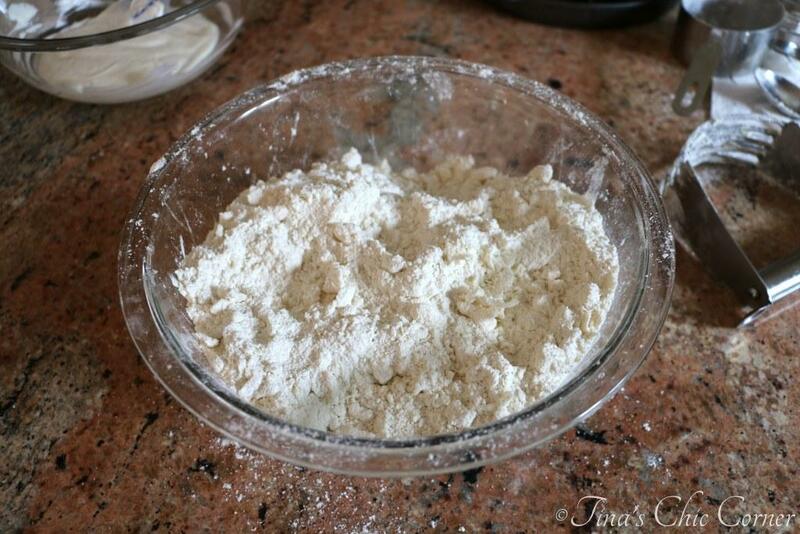 In a very large bowl, whisk together the flour, sugar, baking powder, cream of tartar, and salt. Add the cold butter chunks and mix all of the ingredients together with a pastry blender or a with your fingers until the mixture is crumbly. Mix in the sour cream mixture and egg. Gently stir in the blueberries and chopped peaches. Bake in the preheated oven for about 25 minutes, or until they’re golden brown. Once the scones have cooled completely, spread the spice frosting on the top of each scone. * Note: If you do not have a scone pan, do not worry. 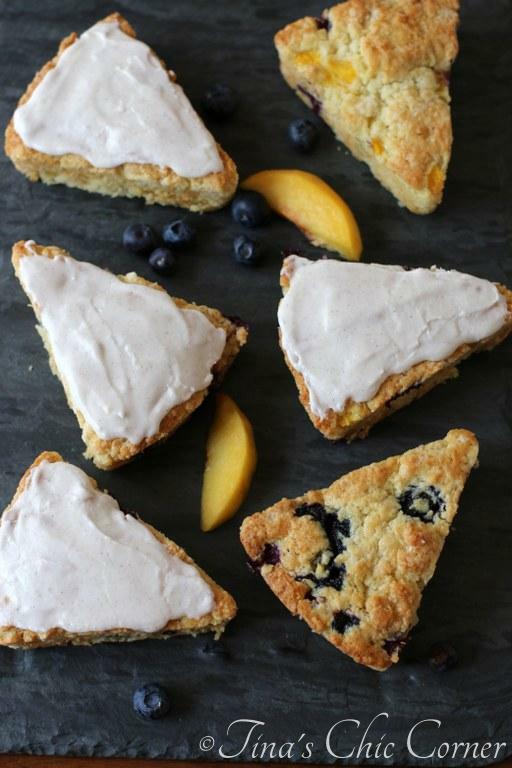 All Recipes gives step by step instructions for this scone recipe using a baking sheet. You start this scone baking adventure by mixing all of the dry ingredients (even the sugar, which is sometimes considered a wet ingredient in other recipes) with the cold butter. The butter pieces should be visible at this point. Here’s a little Science 101 (well, sort of science-y)… Cold butter is important here because it creates pockets of steam when they get hot in the oven during baking, which causes the scones to rise in the oven. This will give you some fluffy scones. I tried to capture how lovely they are on the inside. They are super tender and a tad crumbly, just the way a scone should be. Let’s talk about the flavors going on here. Peaches and blueberries are an awesome combo (and one of my husband’s favorite pies). Then I went ahead and topped these scones with a spice frosting. Or is it called a spice glaze? I never know the difference between them. The notorious autumnal spice tastes super delicious with the summery fruits. Anyone up for some scones for breakfast or tea time? Here are some other yummy breakfast goodies. 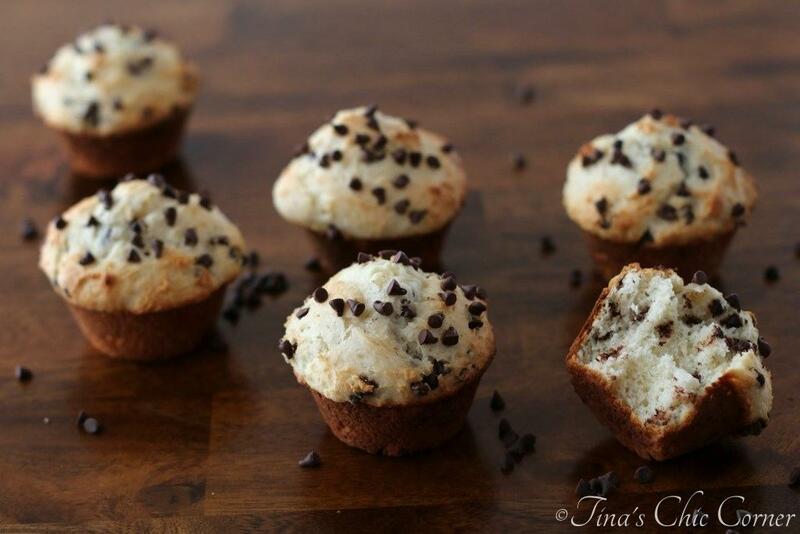 These look so, so good, Tina! I tend to get really excited about whatever season is coming up next, so I’ve been looking forward to fall foods, too. 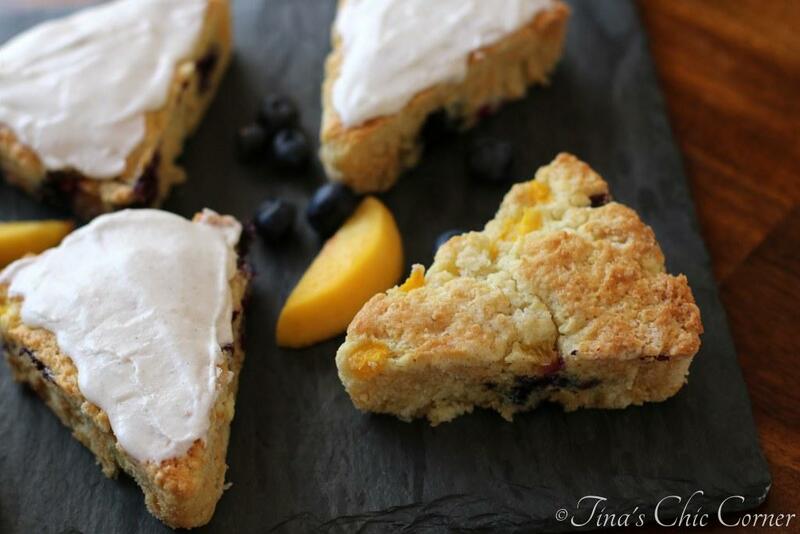 These scones are a great way to combine summer and fall! The scone pan is pretty much only good for scones but it sure is a great device! Peaches and blueberries!! These look awesome – I love a good scone. I am definitely up for some tea or coffee … as long as you bring these 🙂 haha And that spice frosting … I bet that goes amazing with the fruit! 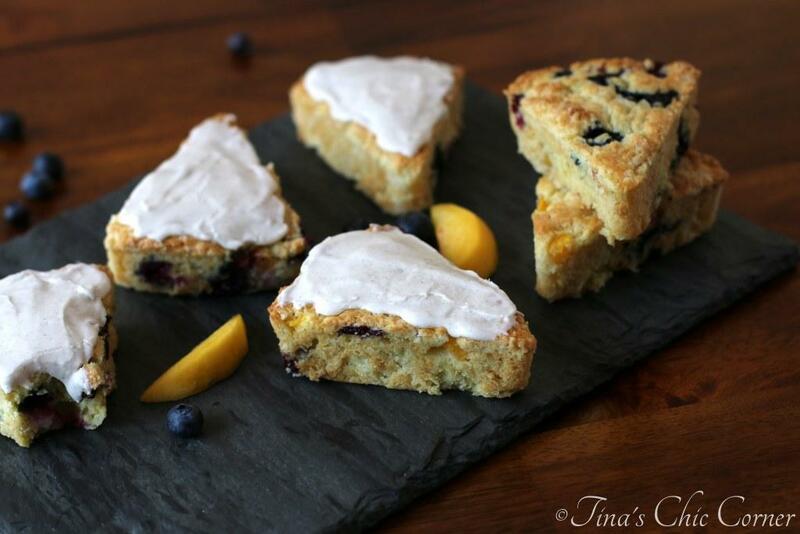 I love scones and peach and blueberry are a great combo…so unique! What a creative flavor for a scone, Tina! 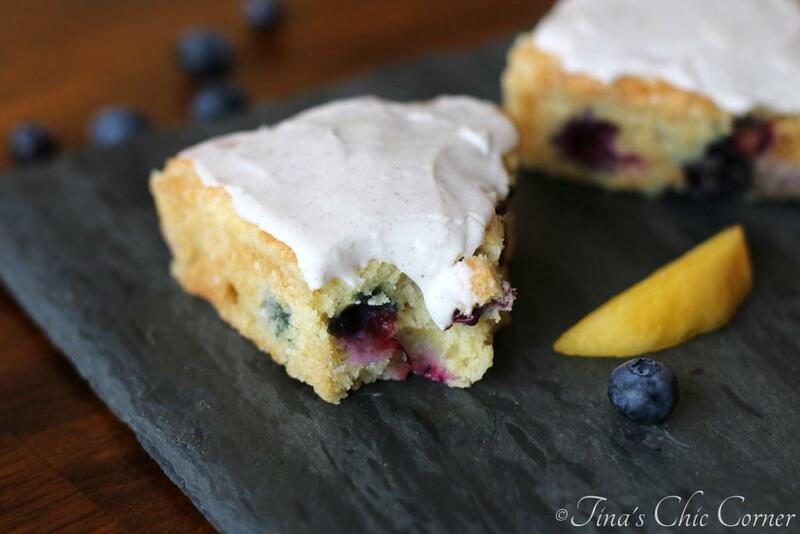 I love the peach and blueberry combination, and that frosting sounds amazing! 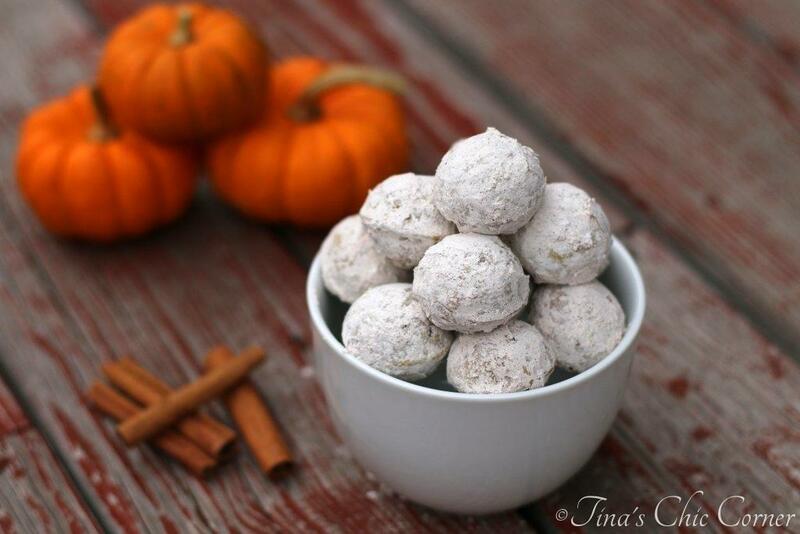 I’ve been craving autumn foods too, and have been pinning apple and pumpkin recipes already. Fall is my favorite time of year, but I don’t feel like I’ve done enough with summer ingredients yet either! These scones are perfect for summer…I love blueberry and peach together, and that spicy frosting sounds really delicious! This might be the best thing I’ve seen recently! I am so in love with the summer fruits and warm spices combo right now! And scones, like, when has anyone ever turned down a scone? They’re buttery, sweet, and remind me of an English tea 🙂 Pinning these beauties! 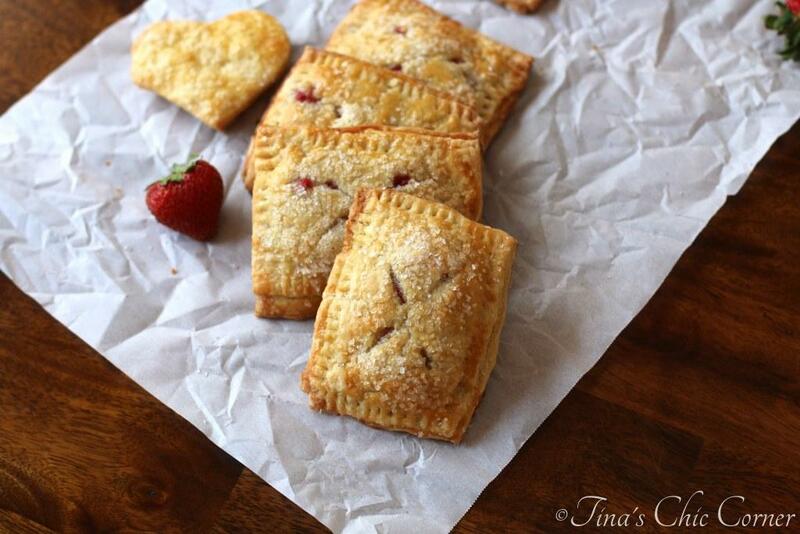 Thanks for sharing Tina, this recipe is amazing! This is such an amazing flavor combo for scones!!! Oh my I need to try these! i’d love one for breakfast! I love seasonal recipes like this one, and I need to get my hands on one of those scone tin things! Would you believe that I’ve neer ever ever made scones??? I know, terrible. I should try NOW because they look delish! Yours turned out beautifully and I’m in love with this flavor combo oh yummmm! Really?! You’ve never made? Challenge!